It looks like Samsung may have a hot little number on its hands. No, not the ill-fated Note7 the company hopes everyone will soon forget. We're talking about the all-new, state-of-the-art Galaxy S8 and S8+ smartphones, due in buyers' hands on April 21. Samsung, burned by the controversy surrounding the Note7 last fall -- that device had a tendency to overheat and catch fire while charging, something that did not endear it to users -- clearly hopes it turned the page this week. And given the early reviews on the new S8 and its bigger sibling, the S8+, it may well be able to do just that. Look at what the new smartphones offer: Facial recognition, an intelligent agent called Bixby and Samsung Pass for secure mobile payments. They also sport larger displays than the S7 -- both have an edge-to-edge, near-bezel-less screen enclosure called an Infinity display. "We're humble enough to learn from our mistakes," Koh added near the end of the one-hour event. "This is how new doors are opened; the impossible becomes possible." Patrick Moorhead, an analyst at Moor Insights & Strategy, was downright bullish on the S8 and S8+. The 5.8-in. 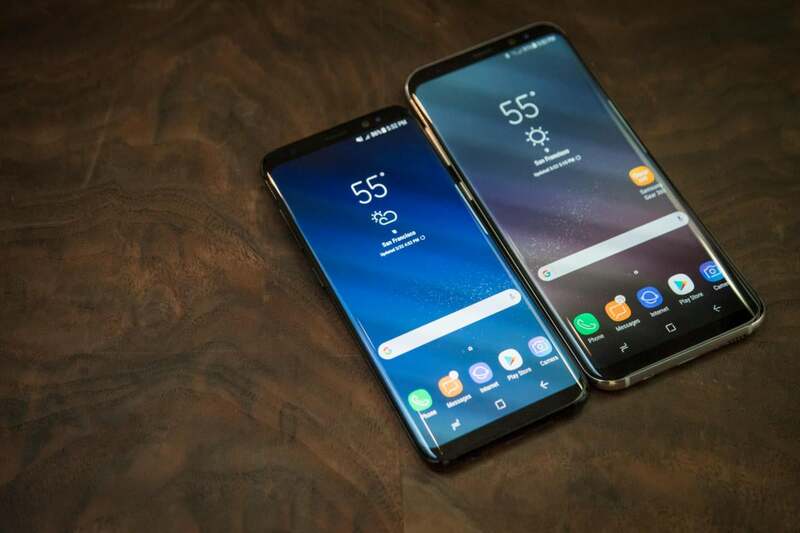 display of the S8 and 6.2-in. display S8+, with their curved glass and high resolution, "are stunning." He likened them to the concept phones of a decade ago that looked like hi-tech slabs of glass. Given the fast processors, new services and features being offered, Samsung's "value proposition is very strong.... It appears Samsung has a winner on its hands," Moorhead said.